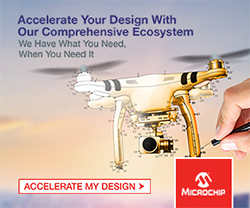 The Microchip MPLAB PICkit 4 In-Circuit Debugger allows fast and easy debugging and programming of PIC® and dsPIC® flash microcontrollers, using the powerful graphical user interface of MPLAB X Integrated Development Environment (IDE). The MPLAB PICkit 4 programs faster than its predecessor with a powerful 32-bit 300MHz SAME70 MCU and comes ready to support PIC and dsPIC MCU devices. 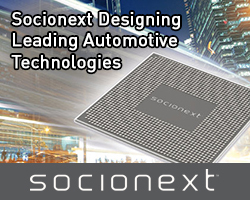 Along with a wider target voltage, the PICkit 4 supports advanced interfaces such as 4-wire JTAG and Serial Wire Debug with streaming Data Gateway, while being backward compatible for demo boards, headers and target systems using 2-wire JTAG and ICSP. 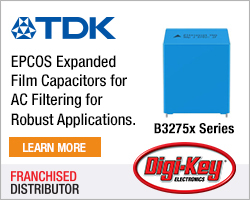 Key features of the PICkit 4 include matching silicon clocking speed, supplying up to 50Ma of power to the target, a minimal current consumption at <100µA from target, and an option to be self-powered from the target. Currently, the MPLAB PICkit 4 In-Circuit Debugger/Programmer supports many but not all PIC MCUs and dsPIC DSCs, but is being continually upgraded to add support for new devices. 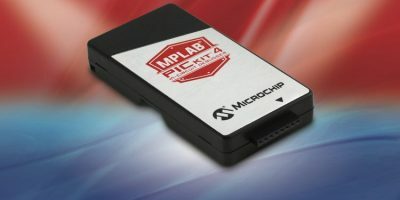 For your chance to win a Microchip MPLAB PICkit 4 In-Circuit Debugger, visit http://page.microchip.com/Softei-PICkit-4.html and enter your details in the online entry form.